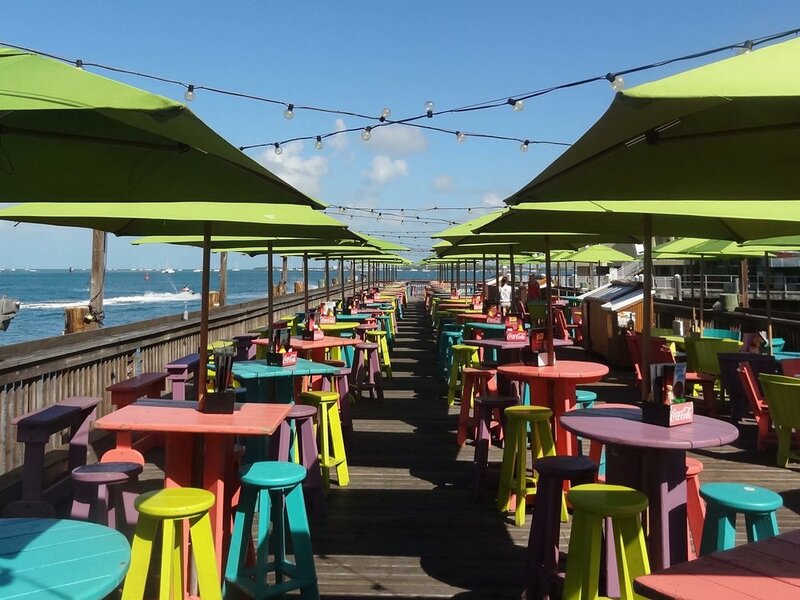 Sunset Pier at Ocean Key Resort is a Florida beach bar located in Key West. 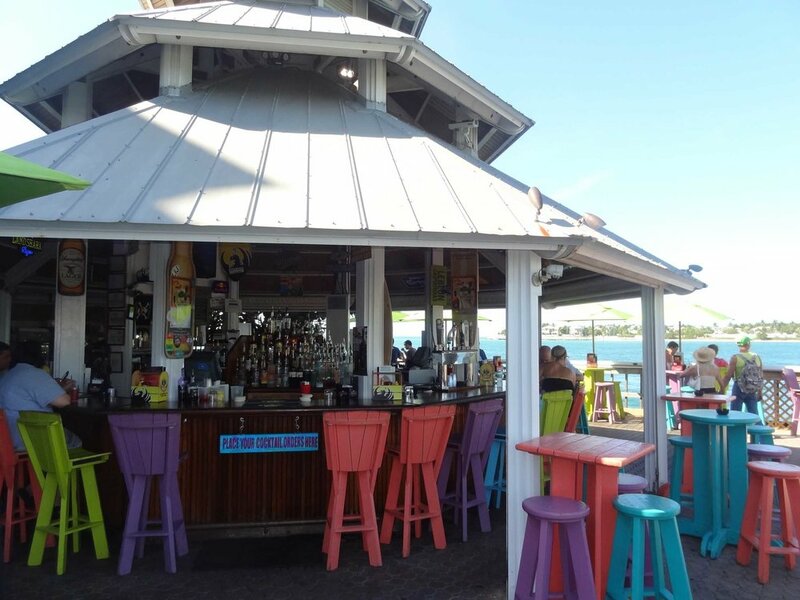 Discover this great Florida beach bar. At the end of Duval Street, you will find the Sunset Pier Bar. It is part of the Ocean Key Resort, but it is open to the fun loving, beer drinking public. 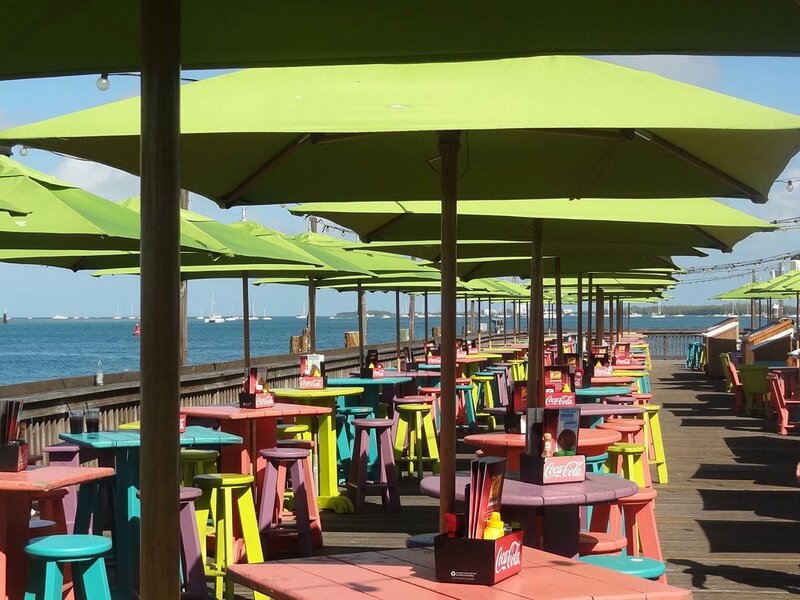 The Pier Bar features a colorful array of umbrellas and chairs and tables, and they all look out at the Key West Harbor. Did you know that in the 1980's Key West seceded from the Union? They did! They were tired of the U.S. immigration policies and seceded. After a brief, but all in fun, battle with the Coast Guard, Key West surrended and applied for government aid. Every year in April a group of pirates and the Coast Guard re-enact this event. They do battle in the Key West Harbor with fire hoses, and the best place to watch this spirited event is from the Sunset Pier Bar. Like everything else in Key West, seeing is believing. Sunset Pier Bar is home to some really good Florida beach bar entertainers. The setting here is lovely. It is a wonderful place to catch the sunset and watch the sailboats come and go. We love this Florida beach bar.